Recently, I read about an app called TooGoodtoGo, which allows restaurants and stores to sell leftover food at a low price. It benefits consumers with a deal; benefits the store by selling something that otherwise might make it into the trash; and of course it benefits the environment, too, by diverting food from the trash. It was a pleasant surprise to find out that a few stores in Kaiserslautern participate. One was a fast food fish restaurant (Nordsee), which isn't for me because I don't like fish. However, the other offering, Real, a grocery store, was just what I had in mind: for 3,50 euros, I would receive at least 10 euros' worth of fruits and vegetables. Participating stores sell a limited number of shares but several were left at Real, so why not give it a try, I thought. I downloaded the app, found the offer from Real, tapped buy, selected one portion, clicked buy, added my payment method, and received a receipt. Pickup times were between 1600-2000, so I tooled over to the store and went to the front desk and told the staff member I was there for the TooGoodtoGo pickup. After looking over my in-app receipt, she swiped it and told me to pick it my package in the produce department and then come back through customer service so she could buzz me through the gate. Easy enough. 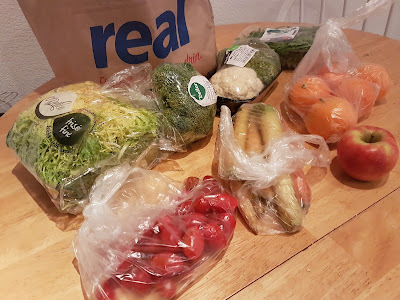 I received about 8 different items, including: rucola salad, another container of some weird lettuce, some pale yellowish-orange carrots, cherry tomatoes, oranges, an apple, a head of broccoli, and a container of broccoli and cauliflower. Everything is still fresh enough to eat raw but I won't have high hopes for a long shelf-life since part of the purpose of the setup is to help the store move some of its older produce. So, do I feel that it's worth it? Yes, I was happy with my purchase and I feel that I received even more than ten euros' worth. It is somewhat difficult as one person to use all this up so it might make sense to split the purchase with a friend, especially when it comes to the salad and fruit. I could make some vegetable dishes and freeze them though. For those who juice fruits and vegetables, it's a good haul. I think I'll even blend some up for a fruit smoothie of my own. One downside is that the app is still gaining traction. In Kaiserslautern, there are only three participating locations, and even in bigger cities in the area, like Mannheim, there aren't a lot of options yet, but I hope that the app's popularity will grow and more stores and restaurants will participate. All opinions are completely my own. I received absolutely no compensation or consideration from the app or the store. I'm independent, yo! Didn't you want us to integrate? Over the years, I've gnashed my teeth about learning German. I'm finally to the point that I can attend an event that's fully in German, can participate, and understand about 95% of what's going on. This is thanks to continuing to take German classes, because meeting with tandem partners has dissipated as a result of lack of time. One of my current classes is the last one that is typically offered by local institutions. Sure, one can take the next level at a city about an hour away, but remember the comment about having no time? Therefore I took matters into my own hands and started, years ago, requesting some upper level classes at institutions not so far away. One place was stubborn and said that I would have to provide the entire class of students, and it would've been more than a dozen. I didn't have so many contacts there any more so couldn't bring that to fruition without the class at least being listed, even tentatively, on their schedule. However, currently I'm in a full class with a lot of highly motivated students (several doctors, computer programmers, etc. who all work for German companies and need a high level of German to reach their career goals). I floated the idea of asking the institution for the next class, which was met with enthusiasm from everyone. I took the idea to the person in charge of the classes. "Why would you want to take that level? It's not required. You only need the next lower level for most requirements," he asked in German, surprised. I explained to him that we are all working professionals, and that we want to fit in to our community or perform work functions properly and speak/read/write/understand German to the best of our ability. We're highly motivated, especially if you consider that most people won't even study at our current level unless they absolutely need to. I was thankful that he was open to the idea, though slightly skeptical, and a week later, he approved it after speaking to the future teacher. Yippie! When thinking over this situation, I found it ironic. In pretty much any country, citizens express wariness about outsiders, especially immigrants. New arrivals are criticized for not knowing the language or not speaking it well enough or having too much of an accent or or or...but here we have a full class of expats, refugees, and people somewhat temporarily stationed here who want to go on to the highest level possible and the idea is met with surprise. but the subtitle could be: but it did make me laugh! My lovely cousins send me a box of random, odd, and fun items for the holidays. 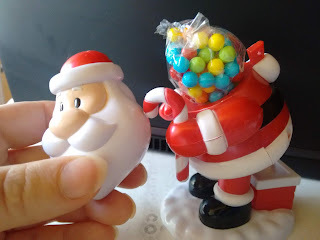 Last year I received many different things, but the most odd one was a Santa Claus toy that excretes candies into a chimney*. What was truly disconcerting, besides the idea of eating candies that Santa had "excreted," was that to set up the toy, one had to cut the zip tie off that attached his head to his body, remove his head, break open his "guts" from their plastic lining, then dump the contents back into his body. The whole time his head was shouting, "ho ho ho!" I didn't know whether to laugh, or to scream in terror. *There are so many things wrong with this. In Heidelberg on the main street, there are two restaurants back to back. One is "Mexican" (or the owner's approximation of such) and one is Turkish. They decided to make a German-Turkish-Mexican mashup of questionable tastiness. However, it turns out that someone I know had eaten a "burrito" from the Mexican side of the house one night after visiting the bars. 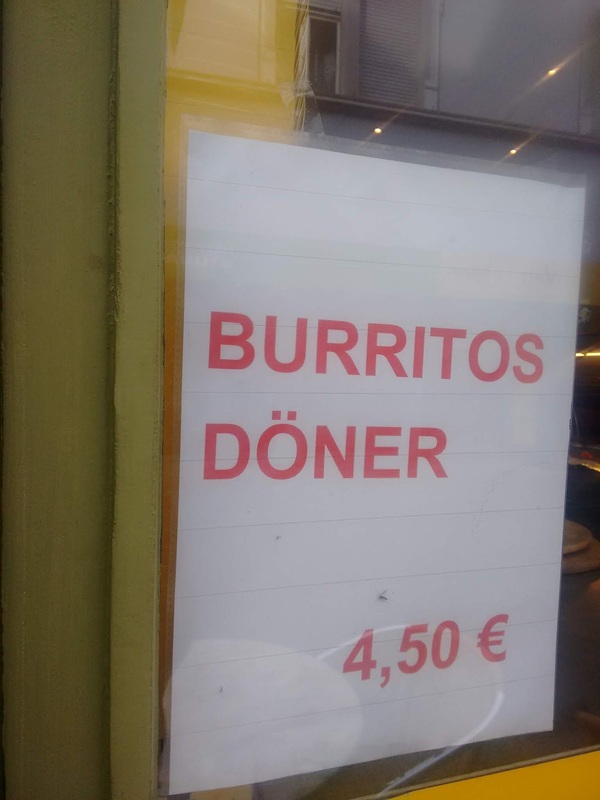 He thought it was the best Döner he had ever had. Ha! Earlier this summer, I went home for an almost one month-long vacation. It felt surreal to take so much time off but it was excellent! In addition to traveling to Boston, seeing old friends and coworkers in Michigan, and eating dang good Mexican food, I stopped by the local stores to bask in good ol' products that I can normally get in the US but not in Germany (which, ironically, usually entail ingredients from other countries or hippie foods -- think all of the wonders of Trader Joe's, because I am not into typical American food). I took a gander at the foreign food aisle in Meijer, a giant superstore with groceries, and had a gander at the Dutch goods. 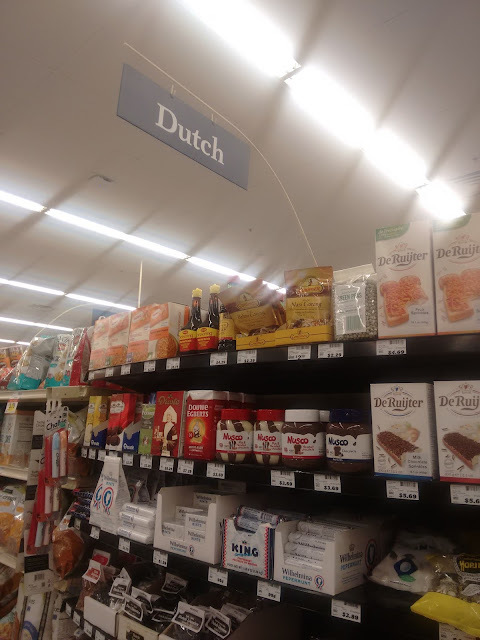 Having been to the Netherlands, I can say that these products are familiar and similar to what they have in bigger grocery stores. There are King mints, Hagelslag (my mom's side of the family eats this but I think it's not palatable - sprinkles on toast), and of course, the ultimately unpalatable drop (salted black licorice). 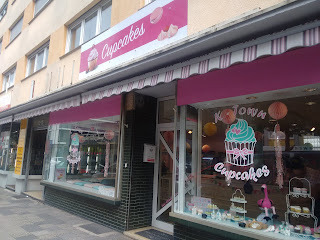 Need a sweet cupcake fix in Kaiserslautern? Until about last year, your only way to do so was to hope that one of the local bakeries made up a batch for fun, to place a special order for some from a bakery, or if you're in the know of the right Facebook groups, you could order a gourmet dozen from one of the military spouses in the Kaiserslautern area who bakes them up in her home (which I also totally recommend as there are some really talented bakers here!). Last year, K-Town Cupcakes opened up a few blocks south of the K in Lautern Mall, on a side street. 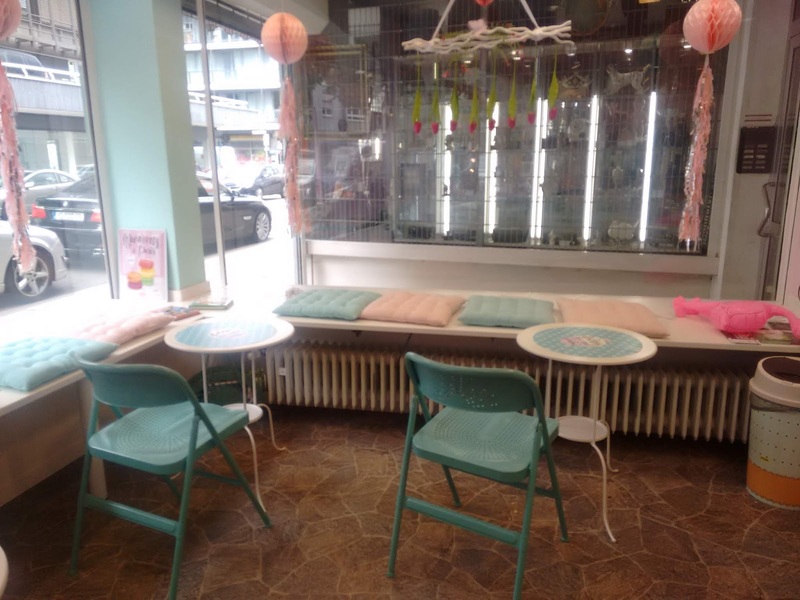 It's a small, cute store with a few bistro tables and window seating. 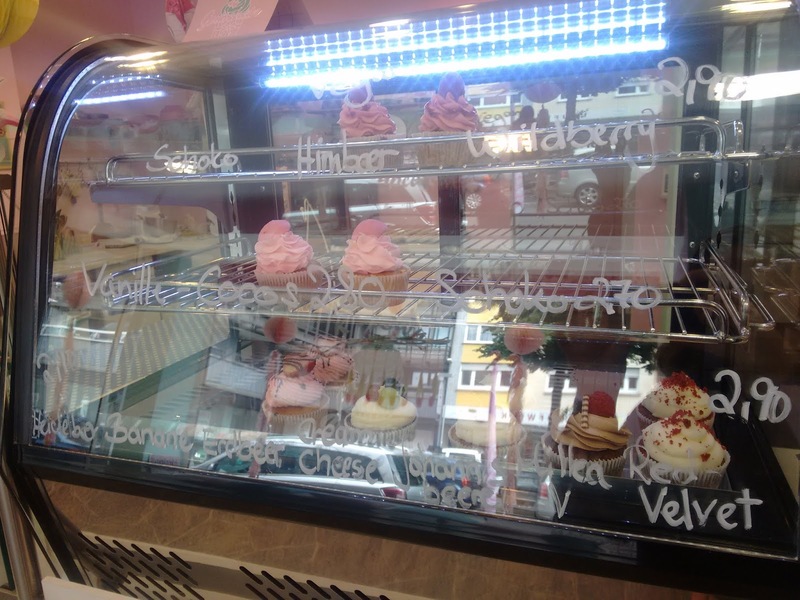 They offer both a display cabinet of cupcakes that can be eaten there or taken away, as well as custom orders. 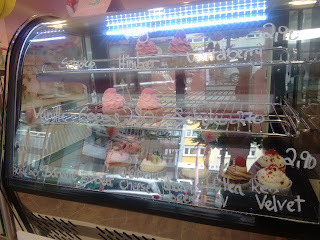 A variety of gourmet cupcakes are on display, as well as some meringue candies. Flavors when I visited red velvet, blue berry, strawberry, chocolate cake with cream cheese, raspberry, currants, and more. Additionally, vegan cupcakes are on offer, too. 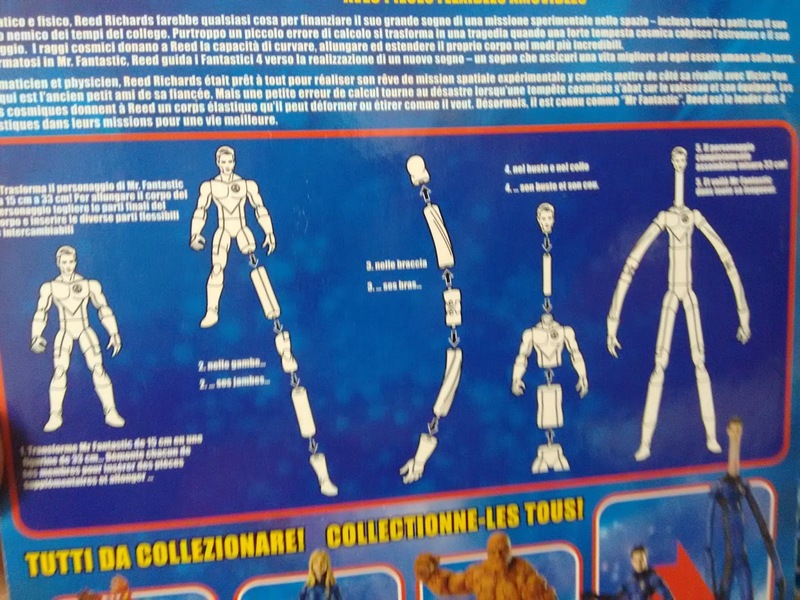 They're priced from 2,80 - 2,90 euros each. So, on to the important information: are they good? Yes, they're decent. I find the frosting tasty but a bit crunchy/grainy as I don't think they have access to the same type of sugar that Americans use in our cupcakes. Also, since they have to refrigerate the cupcakes to keep them from melting in their unairconditioned store, they are not quite as soft as American cupcakes, but they're still good. If you're buying many cupcakes for a party, they can be a bit spendy, too. All in all, though, they're good for a gourmet pick me up. Just beware that they don't always keep to their posted hours, which can cause frustration. If they sell out early, they close up shop for the day. This leads to unreliability but this isn't uncommon for small German businesses; call ahead if you're making a special trip. 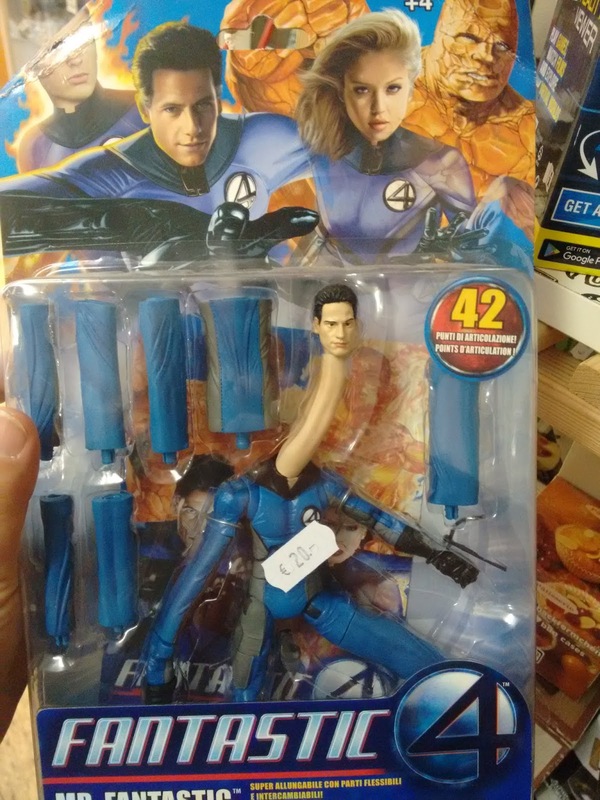 Oh, thrift stores. 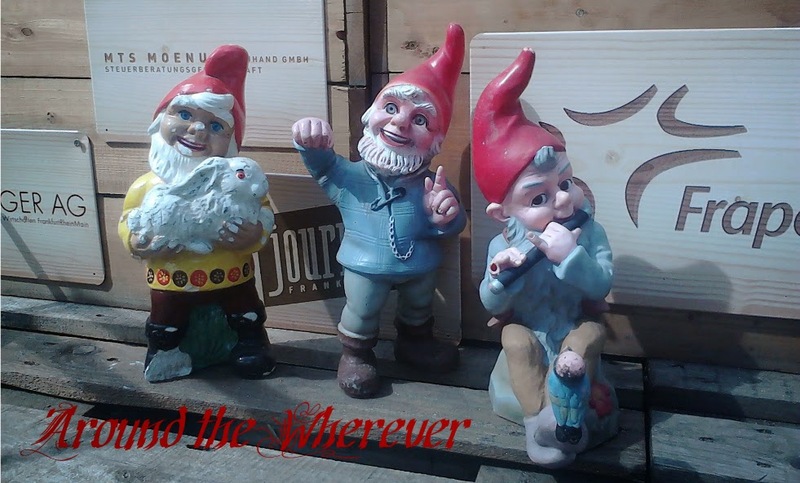 They are a siren call, a place to find random, strange baubles. There is no rhyme or reason, especially among the stores that receive unsold commercial merchandise. 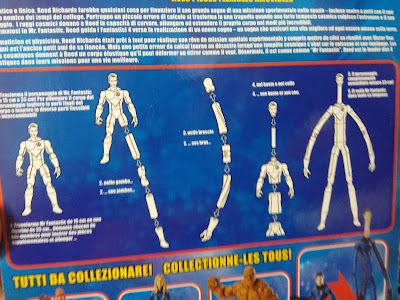 There's even directions on how to elongate the dude. His neck freaks me out. It's so...well, it looks like...it's just creepy.